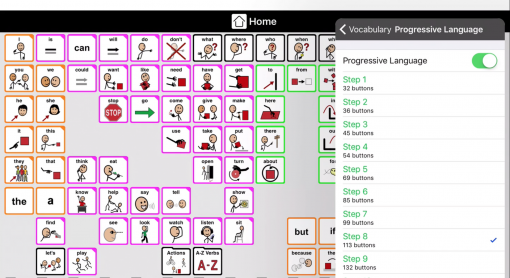 Ever since we released our first core word vocabulary in multiple grid sizes, back in Proloquo2Go 2.0, we’ve been recommending that people choose the largest grid size they can use. Choosing a large grid size gives you the most language on a single screen. With more language available at a glance, you can quickly recognize the words you want to use. You don’t have to remember which folder a word is in and then navigate there. When we set a smaller number of buttons per screen, we’re trying to make things easier for beginning communicators. There are fewer buttons to visually scan, and the buttons are bigger. But what we end up doing is making it harder for beginning communicators to explore language and develop new skills! We make things harder for ourselves also. 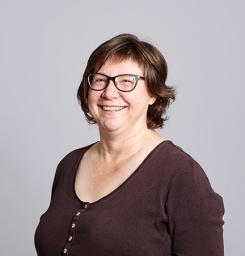 Research into teaching AAC shows that it is most effective to model language that’s a slightly higher level than the communicator is already using. With a grid size that contains only the words that a beginning communicator is already using, it’s really tough to model that next step for them! Sometimes people try to work around this problem by picking a grid size that’s just a little above the beginning communicator’s current level. This gives a simpler display, while including the “next step” vocabulary you need to model. As the communicator learns new vocabulary, the grid size is increased again. However, every time you increase the grid size, the buttons move to a different place in the new grid. While we’ve tried to keep the buttons in the same general area from grid size to grid size, it’s impossible to keep them in exactly the same place. 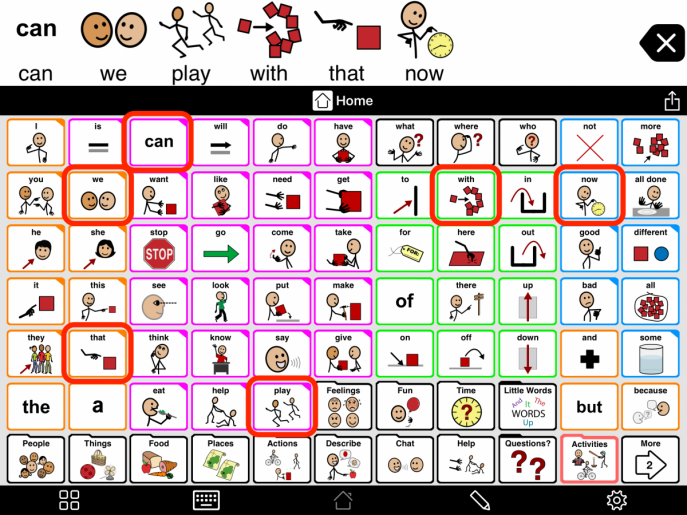 This means that the beginning communicator (and you as the person modeling for the AAC user), has to re-learn where everything is each time you change the grid size. Another way to gradually increase the available words is to start with a larger grid size, but hide the more advanced buttons. 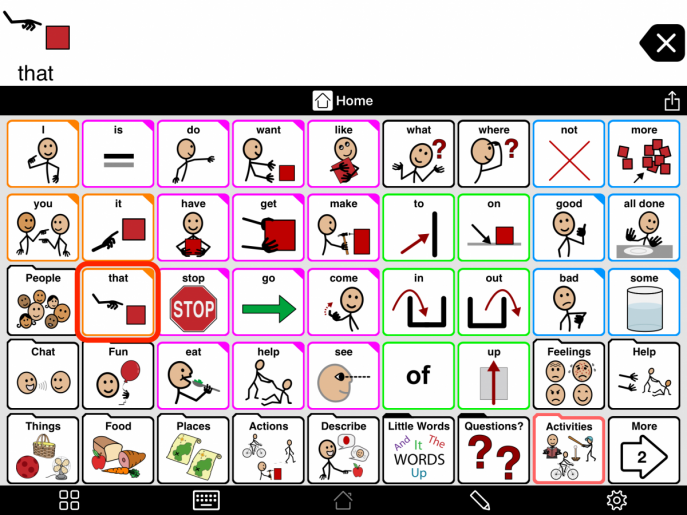 As the AAC learner progresses, you can gradually reveal buttons until they’re all showing. This means that buttons are always in the same place. We’ve made this easy in a new feature we call Progressive Language. Once you turn Progressive Language on, you can easily choose a Language Step. Words are revealed in a logical order based on language development and frequency of use.